Telegram is a hugely popular messaging app with over 200 million monthly users, available across a large range of platforms and countries. Telegram’s messaging service has held huge appeal for those looking at alternatives to chat applications owned by social media giants, like Facebook Messenger and WhatsApp; amid mounting concerns over user privacy. With a large portion of Telegram’s user base already familiar with digital currency, Telegram is looking to expand its footprint by offering a range of decentralized services on its blockchain platform – the Telegram Open Network. Crypto analyst Alex Sofpel certainly seems to think so. Sofpel works for crypto trading platform Monfex, and he predicts that the GRAM token could generate $4 billion in revenue for Telegram by 2022. Sofpel’s analysis is based around two core assumptions. Firstly, that Telegram will achieve 1 billion monthly active users by 2022, which was part of Telegram’s pitch to investors at the private sale stage. It assumes a starting base of 200 million users in 2018 and an annual growth rate of 50 percent. The second assumption is that each active user will generate $5 in annual revenue. This assumption is based on the revenues generated from users of WeChat ($5.60) and Google Pay ($6) as comparators. The analysis points to WeChat’s revenues of $5.1 billion from 900 million users. The Monfex platform offers various features such as trading perpetual contracts on 12 different coins versus USD making Monfex a strong competitor for other trading platforms on the market. Monfex are avoiding auto-deleveraged positions, keeping investors on the platform safe and avoiding situations like we’ve seen with BitMEX recently when the price of Bitcoin took an upturn. In December 2017, Telegram announced the launch of their new decentralized blockchain platform named the “Telegram Open Network (TON).” At the same time, Telegram declared it would be opening the sale of its own native cryptocurrency token called ‘GRAM’, to the anticipation of the blockchain community. The ambitious vision for Telegram’s Open Network was described in a 132-page yellow paper. 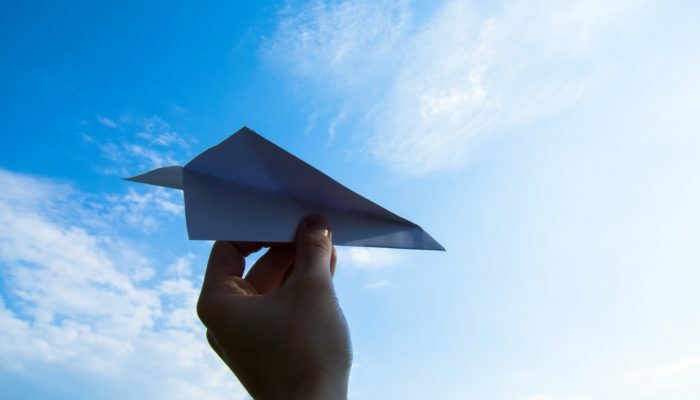 It detailed Telegram’s goal of transforming their popular messaging service into an entire suite of blockchain-based services for the decentralized economy. According to the paper, the TON platform will include cryptocurrency peer-to-peer (P2P) payments, a private browsing experience, dApp creation, and file hosting. Telegram sought a raise of $1.2 billion for the development of TON through an initial coin offering (ICO) for their GRAM token. Telegram’s GRAM token will be used as a unit of exchange within the Telegram Open Network. The token would be similar in scope to the offering Facebook have hinted at releasing, for use across their family of products. The key difference is that Telegram now already has a lengthy head start among cryptocurrency users, due to its status as the communication tool of choice for blockchain projects. The Telegram team offered ICO participants future rights on GRAM tokens once the TON platform had been successfully built. It was originally planned that Telegram’s ICO would be offered during an initial private round, and then a public ICO round to reach their hard cap. However, what Telegram were not expecting, it seems, was the magnitude of funds they would raise during their first round. Hurtling through their initial $1.2 billion target, Telegram increased their hard cap to $1.7 billion, before cancelling the public ICO altogether. Telegram’s public ICO sale was cancelled early most likely because Telegram had already raised enough funds to develop the TON, raising all $1.7 billion in the second largest ICO in blockchain history. Furthermore, this was around the same time that the SEC started making pronouncements on the status of ICOs as securities offerings. It’s likely that the Telegram team didn’t wish to attract unwanted attention from regulators by continuing on to the public token sale. As a result, although many institutional investors managed to get an early look-in on the GRAM token sale (the minimum contribution in the first round was thought to be an eye-popping $20 million), retail investors were largely excluded. Now, the Telegram team have confirmed to investors that they plan to launch the TON test net imminently. An investor update letter released in February indicates that the project is now 90 percent completed, compared to 70 percent in September 2018. The letter also indicated a launch date for the TON testnet in March 2019, although given current timing it has clearly been delayed. The Medium post which contained the investor letter also relays that “sources familiar to Telegram” have confirmed that the project is actively working with a number of exchanges to have the GRAM token listed. These are predominantly Asian exchanges, with the post naming Binance, Huobi, and OKEx among those which will list the token. It also alludes to Telegram working on the establishment of partnerships in e-commerce, retail and other online services, although no details are provided. No date appears to have been set for the launch of the TON mainnet. However, the test net launch is a clear positive step, and that the team is engaging in discussions about exchange listings points to an anticipated main net launch sooner rather than later. TON and the GRAM token have the potential to be a game changer for Telegram. By offering a messaging app integrated with payment and other services, TOM and GRAM provide a clear edge over messenger apps such as Whatsapp and could rival integrated services such as China’s WeChat. Considering that Telegram was initially launched without the goal of making profit, this is a Monfex’s analyst prediction is a significant forecast. Such predictions will inevitably spur investors to get their hands on the GRAM token at the mainnet launch. With an existing user base already in excess of 200 million for the messaging service, Telegram’s coin looks set to be the first that will finally catapult cryptocurrencies into the mainstream.